The old Taisha Station was opened in 1912, and was closed in 1990. 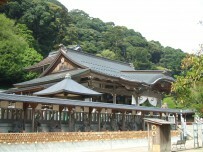 The present building was built in 1924, and is unusual in that it incorporates elements of shrine architecture into its design. 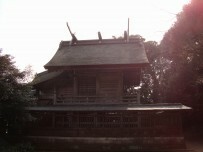 It was designated as an important cultural property of Japan in 2004. Access: Turn left out of the Ichibtata Railway Izumo Taisha-mae Station, and it is around 15 minutes on foot.